The new Newton app provides a quick, cheap and easy way to buy and sell cryptocurrency in Canada. Unlike complicated crypto exchange apps, Newton’s interface lets you buy and sell crypto with just a few clicks. What’s more, the bid-ask spread that you get through Newton is low compared to similar services. Support for WatchOS is a nice perk, as well. Easy to use. Buying and selling crypto through the Newton app is a quick and straightforward process. Comprehensive help text explains how to use the interface. Inexpensive. Newton doesn’t charge any commission fees and its spread fees are low compared to similar services. Supports Apple’s WatchOS. The WatchOS version of Newton.co lets you use the app on your Apple Watch. Excellent App Store rating. Currently, Newton has a 4.4 out of 5 star rating in Apple’s App Store. Automated verification. 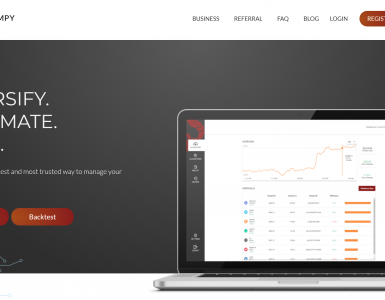 You can start trading after you verify yourself through its automated ID verification system. Other crypto exchanges require you to go through a lengthy manual verification process. No Android support. Newton doesn’t have an Android app yet, but they do plan to release one soon. Limited purchase options. Currently, the only way to exchange crypto for fiat through Newton is bank transfers. Credit card buys and other payment options are not available. What Can You Trade on Newton.co? Later that April, Walper described his company’s goals in a Medium article. In the introductory blog post, he noted that cryptocurrency is still “way too difficult to get your hands on” in Canada. He went on to write that the Newton app is designed to close that usability gap. The beta version of Newton debuted the day after Walper introduced the app on Medium. In exchange for early access, Newton asked the beta users to donate at least $5 to the Canadian Civil Liberties Association. Version 1.0 of the app was released on October 3 of this year. Although only 22 people have reviewed the app, Newton’s average rating is 4.4 out of 5 stars. Dustin Walper – Co-founder, CEO. Walper co-founded a software firm called Myplanet in 2009 and left in 2015 to co-found the Toronto-based telehealth company Akira. After Akira was acquired by Right Health, he stayed on until February as Chief Product Officer and then left to help startup Newton with Erynn Saunders. Erynn Saunders – Co-founder, Head of Design. Saunders worked at a number of design firms before joining Walper to found Newton, including Holy Cow Communication design, eBuyNow and MetaLab. Daniel Koff – Advisor. Koff is the VP of Business Development at Nanoport Technology Inc., a Silicon Valley-based R&D lab. Some cryptocurrency services are ideologically opposed to any type of governmental regulation. The leaders of Newton, however, seem to have a much friendlier attitude toward regulators. According to the Newton website, the people at Newton “want cryptocurrency to be taken seriously” and therefore “go above and beyond” to make sure that the company is compliant. Their stated goal is to meet not only existing Canadian cryptocurrency regulations, but also the anticipated regulations that have yet to go into effect. According to a detailed Medium post from Newton, the company uses a variety of techniques to ensure that its assets remain safe and secure. A key part of Newton’s security strategy involves cold storage. The majority of Newton’s funds are stored in a cold storage facility, which is protected by a 24/7 security system. All private keys are generated offline. What’s more, all transaction signings are performed offline as well. Once a transaction is signed, it’s secure and can safely be moved to the internet and recorded to the blockchain. Newton rolled out its iOS app first because the founders believe that iPhones have better security features than most PCs. For example, iPhones have a chip called Secure Enclave, which Newton utilizes for processing TouchID and FaceID logons. Secure Enclave is designed to remain secure even if the iOS kernel has been hacked. The Newton customer support team assists customers and answers questions via email ([email protected]) as well as on Twitter and Reddit. Perhaps because Newton just got off the ground, Canada’s cryptocurrency community doesn’t seem to be very aware of it yet. However, early reviews of Newton’s iOS app were overwhelmingly positive. The few negative reviews that do exist appear to be bug reports. Newton uses an automated phone-based ID verification process to verify new users. There’s no need to send in a picture of a government-issued ID card or any other identifying information. Newton lets you buy and sell Bitcoin, Ethereum, and Litecoin. Currently, the only fiat currency that Newton supports is Canadian dollars. This is what Newton’s dashboard view looks like. It’s the first screen you’ll see after you log into the app. You can use the hamburger menu in the top right corner of the app to tweak your settings. Your portfolio balance is displayed in the center of the screen. Below that, you can view your pending transfers and check cryptocurrency prices. Selecting a cryptocurrency in dashboard view takes you to a more detailed view. Here you can set up alerts, learn more about whatever coin you selected or view a timeline of price data. When you’re ready to place a trade, all you have to do is go back to the dashboard view and click the green trade button on the bottom right side of the app. The trade button lets you quickly and easily trade, withdraw or upload Canadian dollars from your bank account. As mentioned above, Newton for Android is still in development. The iOS version of Newton debuted a few months ago. Features include Siri and Apple Watch integration, instant verification, technical charts and help text that guides you through how the app’s various features function. 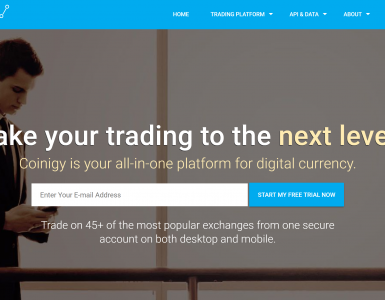 Newton lets you trade up to $500 CAD immediately. You can transfer up to $5,000 CAD per day. The more you use Newton, the more money you can move. The max transfer limit is $50,000 CAD per day. Newton doesn’t charge commission fees. Instead, it derives revenue by offering profitable price quotes to its customers. Newton’s bid-ask spread is low compared to competing cryptocurrency services. 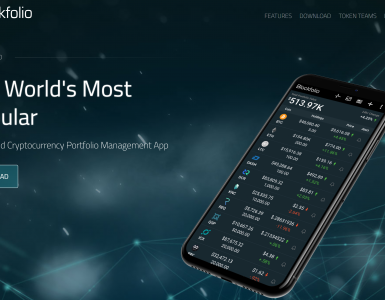 If you’ve tried using advanced crypto exchange apps and felt overwhelmed by the experience, Newton is worth checking out. With features like instant verification and a responsive, beginner-friendly interface, the new Newton iOS app makes it easy for Canadian cryptocurrency newcomers to get in the game and start trading right away. The main downside to Newton is that it’s brand new. Support for credit card purchases and Android would make Newton even easier to use.